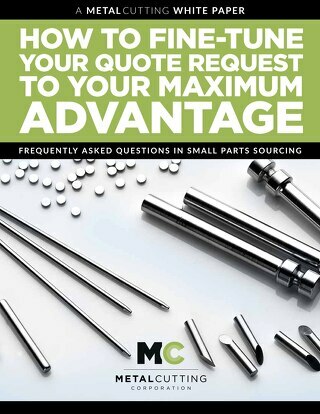 This is the third of four blogs looking at the fundamentals of small parts sourcing and how to make more informed decisions about specifications. Earlier, we took a look at tolerances and how they affect price — specifically, how to strike the right balance between cost and the need for accuracy. 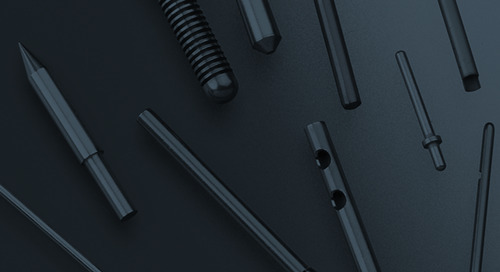 We concluded that by carefully considering where a part is going, how it interacts with other parts, and what it needs to do, you can distinguish between critical and non-critical tolerances, and avoid the cost of over-engineering your parts. In addition, when you have one part with different attributes that require tolerances — such as both a diameter and a radius — you need to consider which one is the more critical dimension. However, this last point raises a new issue: What happens when the same part has multiple tolerances that conflict with each other? The term conflicting tolerances can be used to mean any specified tolerances that simply do not make sense together. For example, a drawing for an electronic component might show two conflicting tolerances on the component pitch: The first tolerance is boxed and uses the general drawing tolerance for three decimal places, ± 5 microns; immediately below that is an accumulative pitch (four single pitches) with a tolerance of ± 50 microns. Machinists hate this type of conflicting tolerance because it forces the manufacturer to elect between the conflicting requirements. If the tolerances are programmed into the machine, it can cause tools to crash and can significantly damage delicate positioning features — requiring expensive repairs or parts replacement, and resulting in production delays, missed deadlines, and higher costs. In addition, with more complex assemblies, the effects of conflicting dimensions can multiply, resulting in tolerance buildup and unacceptable variations in the intended design. These conflicting tolerances are often a matter of incomplete dimensioning or plain old human error. 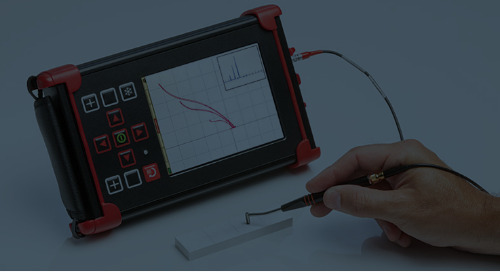 Fortunately, an alert and knowledgeable technician can spot discrepancies and knows to go back to the customer or other source for more information, to determine the intent and make adjustments in the specifications to resolve any conflict. 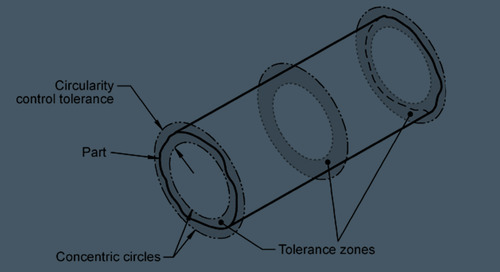 The term conflicting tolerances also refers to a very common occurrence: a single part having an easily met, loose tolerance coupled with a tight tolerance in another dimension. For example, you might have a loose tolerance of ± 0.0100 inches for length along with a very tight tolerance of ± 0.0010 inches in perpendicularity, making the part more difficult to produce. Can you achieve a tight tolerance in one dimension and a less costly, looser tolerance in another? The reality is, you might not be able to achieve both, as specified, in a single part. That is because the rule of thumb is, the tighter tolerance is the one that must guide production — determining the type of machine and tools to be used, and ultimately driving the cost of the part. 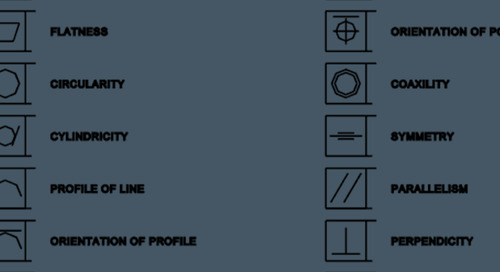 You must look at a part in its totality and consider all of the tolerances to get a true picture of process and cost. For instance, a very large corner radius can reduce the diameter, because the part needs to be tumbled a long time to achieve the large radius. 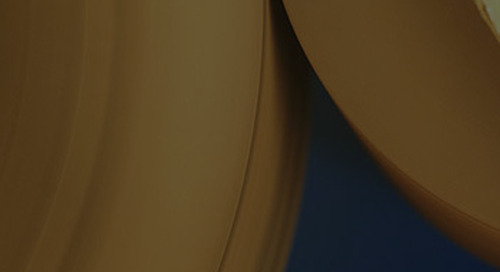 This would require a tighter tolerance and eliminate the cost benefit of specifying a looser, overall outer diameter. Frequently, conflicting tolerances require accepting a compromise. For example, you might need to specify a tighter length tolerance in order to hold a tight diameter. With a radius and a diameter, you might need to accept one that is slightly under in the diameter in order to achieve a more critical dimension and a tighter tolerance on the other (the radius). Does the perpendicularity really need to be that tight? Do ALL of the tolerances — including the length — need to be tighter in order to achieve the required perpendicularity? Remember, choosing the proper tolerances helps to ensure product quality, ease of manufacturing, and time to market. The good news is that adjusting one tolerance (or several tolerances) slightly can help you be sure to achieve your most critical dimension so that you meet your end goal. By identifying the most challenging tolerance and determining the best way to achieve it, you can get a clear picture of the process that needs to be used and what the cost will be. In addition, your vendor should have the expertise necessary to help you make informed decisions about tolerances and make the best of the tradeoffs that must occur when you have conflicting tolerances. 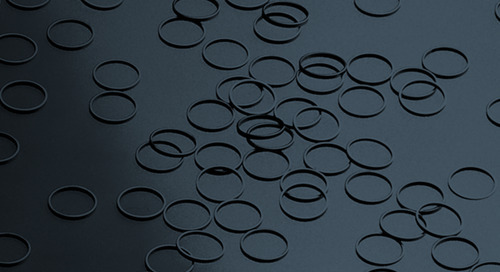 Circularity tolerance based on diameter helps to control roundness and ensure that small precision metal parts fit properly, move smoothly, and wear evenly. Why Use a Metal Surface Finish Chart? 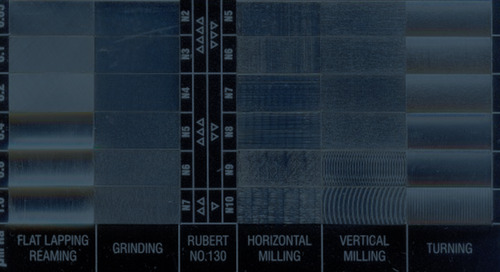 A surface finish chart is a handy reference tool for characteristics such as measurement units and typical Ra values according to the metal cutting method used. 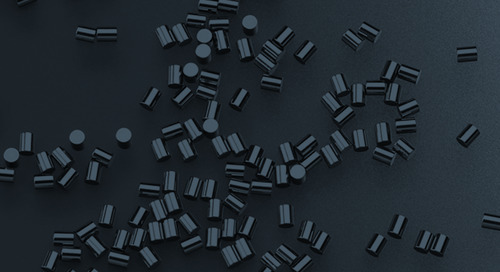 For deburring of small metal parts, mass production requires the action of hand tools to be re-created by mechanical devices suited to high-volume applications. Find out how to optimize your RFQ to get more of what you need on schedule and within budget. Spoiler: it's all in the details. 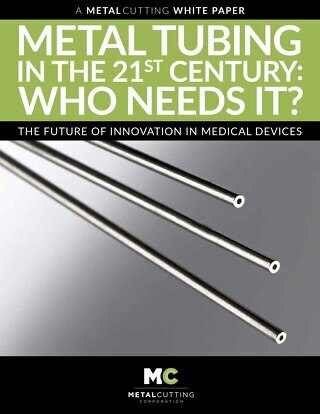 Metal Tubing in the 21st Century: Who Needs it? 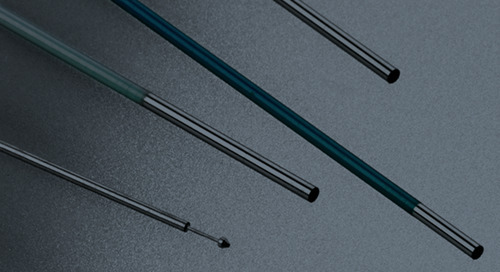 Metal tubing continues to play a critical role in medical device manufacturing, but with the array of available plastic materials it can be hard to determine which material is the right one. The idea of replacing humans with a gadget that will do the same job faster/better/cheaper is deeply ingrained in manufacturing. But there are limits to lights out. Find out more. 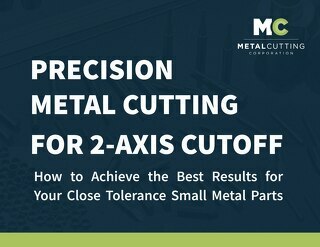 Learn more about the principles of centerless grinding and how it can be used to achieve tight tolerance surface finishes on small cylindrical metal parts. 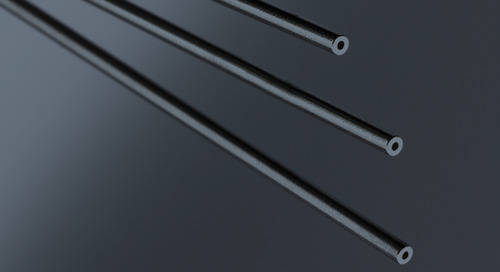 There are a variety of products in general industry, ranging from filaments to furnaces, in which tungsten wire is used and remains without substitute. 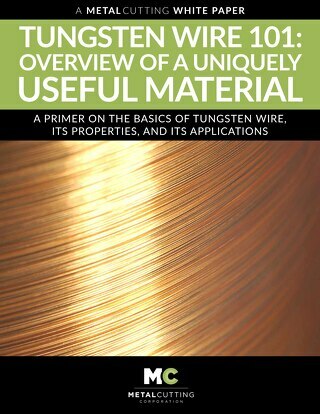 Tungsten wire continues to be a product that has a large number of diverse applications, for many of which there is no known substitute. 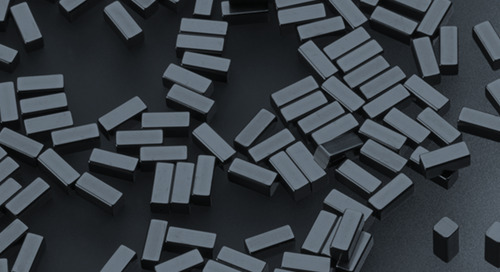 Find out why tungsten remains widely used.